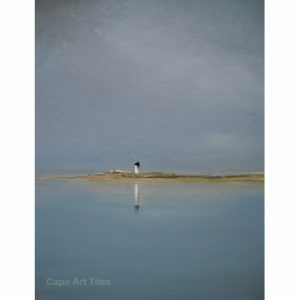 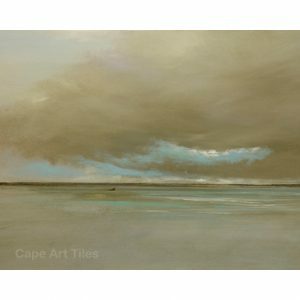 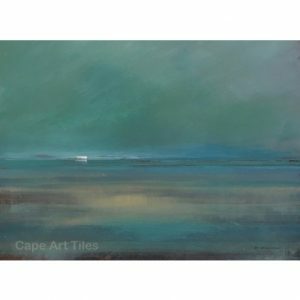 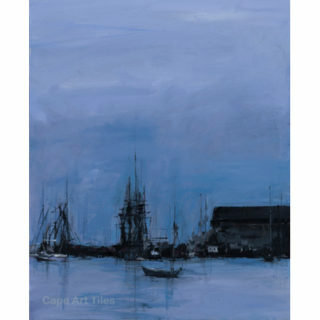 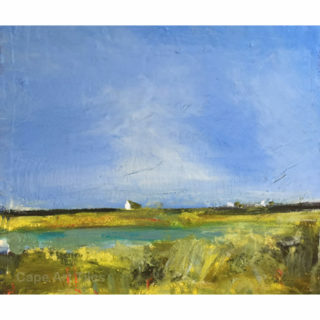 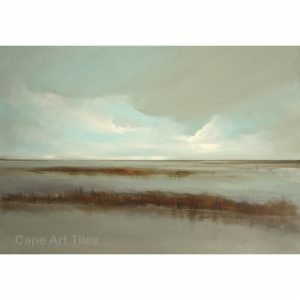 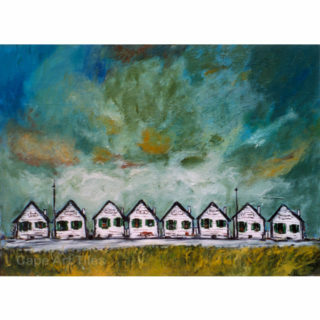 Marrinan was born in London, England and has lived on Cape Cod since 1999. 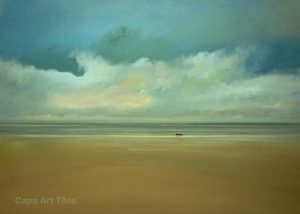 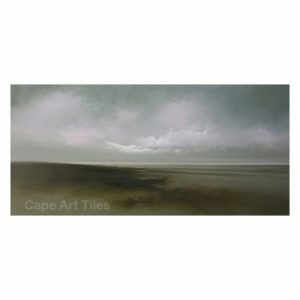 Michael is an established artist who works on linen, he began working with copper seven years ago. 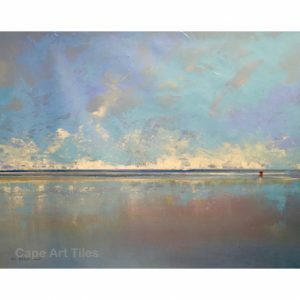 His “oils on copper’ starts with the aging of the copper, with a process that involves both sulphur and organic tomatoes. 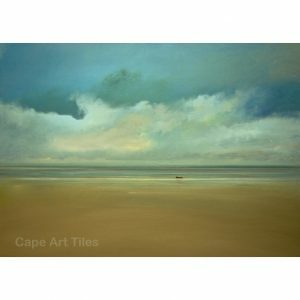 Once this process is compete he continues with the use of oils to enhance the coppers’ inherent patina creating a “one of a kind” piece. 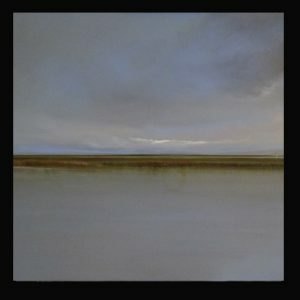 Frames are made of aged recycled wood which compliment the copper and artwork reinforcing each unique attribute of all the materials. 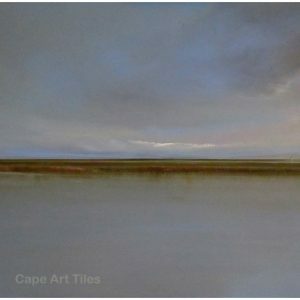 This combination creates an palpable richness unifying the rawness and ethereal ambiance of the piece. 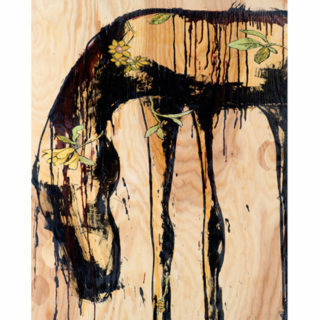 To further testify to the process Michael signs the pieces on the wood frame as opposed to the painting itself…the marriage is complete. 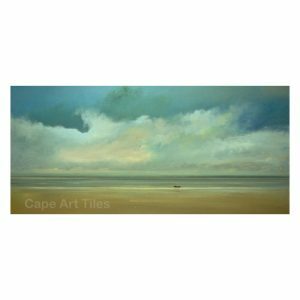 Instead of seeing an old door, Michael sees the craftsmanship from an era filled with time, patience, and a wonderful eye for detail. 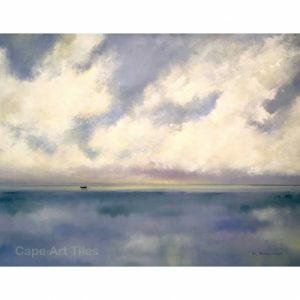 Marrinan has been collected nationally as well as internationally including London, Paris, Berlin, San Fransisco, New York and Amsterdam. 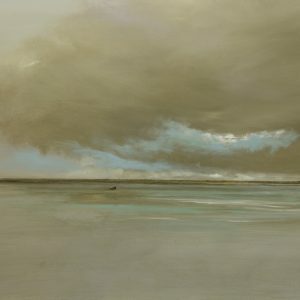 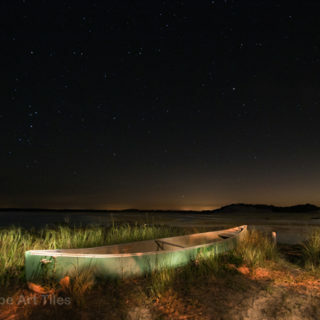 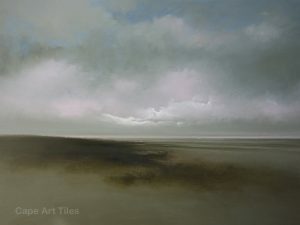 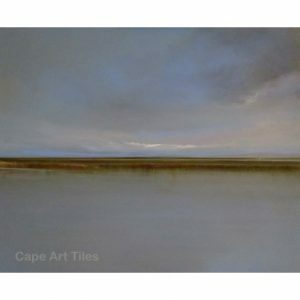 He has been represented by a number of recognized galleries throughout Massachusetts . 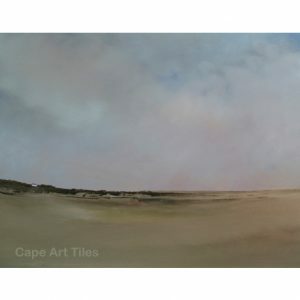 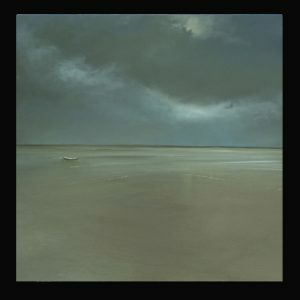 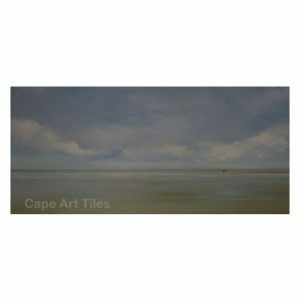 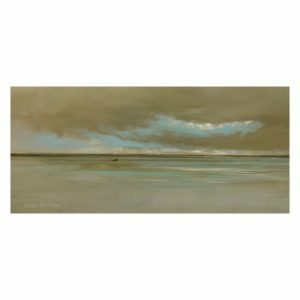 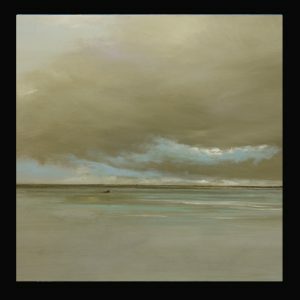 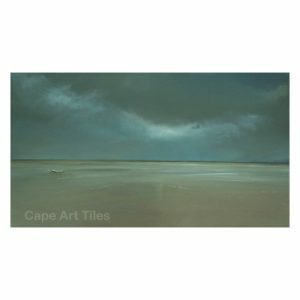 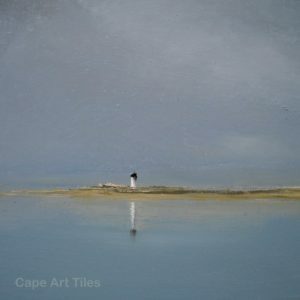 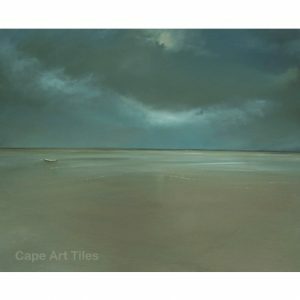 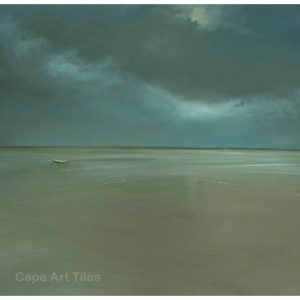 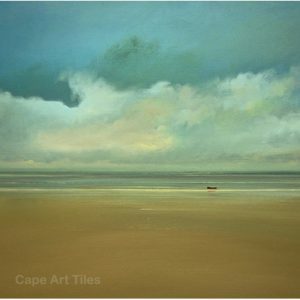 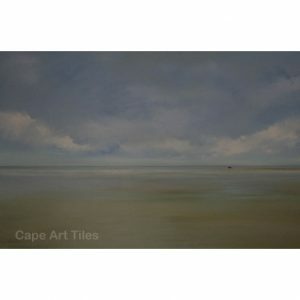 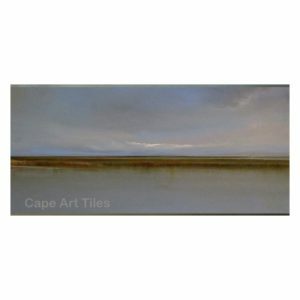 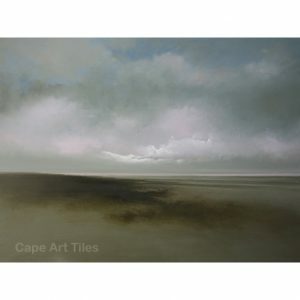 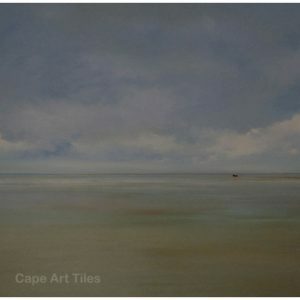 Browse the Cape Art Tile products featuring Michael’s work here.